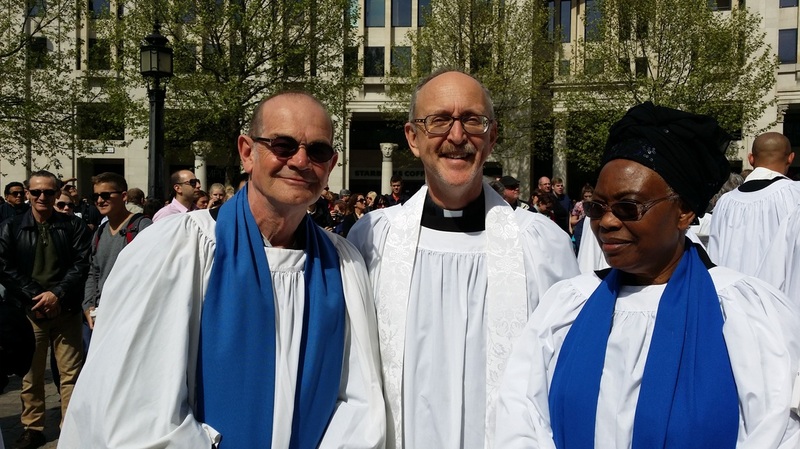 From L-R Dave Franklin Licensed Lay Minister & Churchwarden, Revd. Simon Rea Pioneering Minister to St. Peter's, Julie Okpala Licensed Lay Minister & Churchwarden. St. Peter’s Community Church belongs to the wider team of Anglican churches in Edgware as part of the Edgware Team Ministry, and, beyond that, to the Diocese of London. The Edgware Team Ministry is made up of 3 Edgware churches, St. Margaret’s, Station Road, Edgware. St. Andrews, Broadfields, & St. Peter’s, Stonegrove. Our 3 churches meet in different buildings but we share the same roots in Jesus, the same commitment to growing closer to Him and each other through our worship and weekday activities and the same desire to engage with the needs of the local area and beyond. We're growing in numbers and in depth of faith through our worship services, lifegroups, weekday activities and by serving our local communities.